What Is The Definition Of Red Zone In Football? 1. This refers to the defender’s area on a football field that is between the goal line and the 20-yard line. When the offensive team crosses their opponent’s 20-yard line, they are now said to be in the “red zone”. 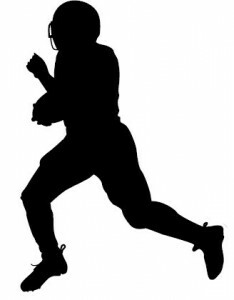 Although the offensive team’s main goal is to score a touchdown, their secondary goal would be to reach their opponent’s red zone. It is in this area that the offensive team has a great chance of at least scoring a field goal if they do not score a touchdown. 1. After the completion, the Jets finally bring Moss down at their own 19-yard line, marking the first time today that the Patriots are inside the Jets’ red zone.